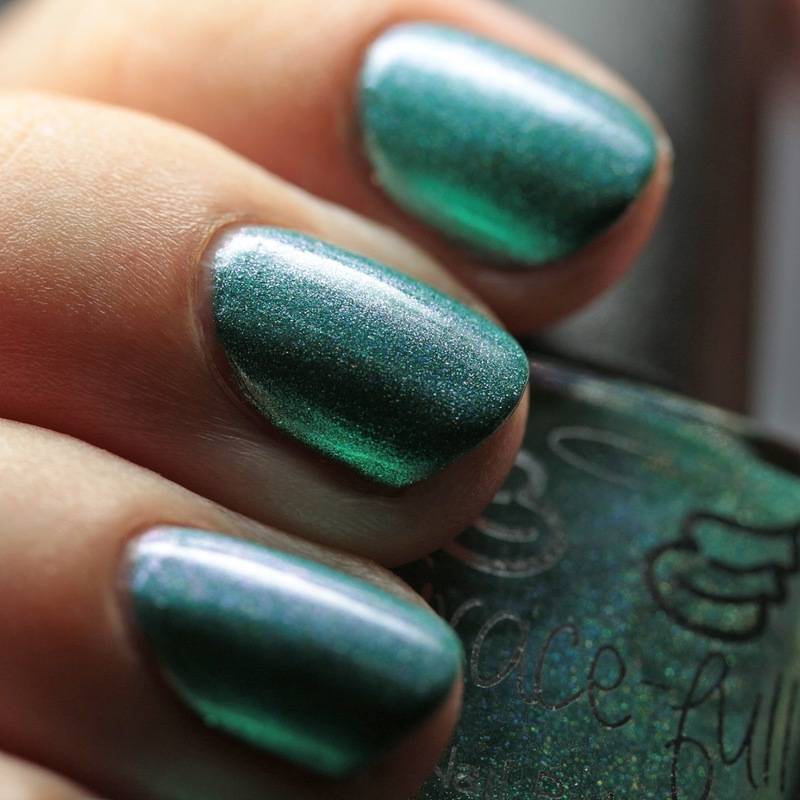 Grace-full Nail Polish Speakeasy is a scattered holo with a jungle green shimmer base that shifts to lavender. It is worn here in three thin coats, but two will do. 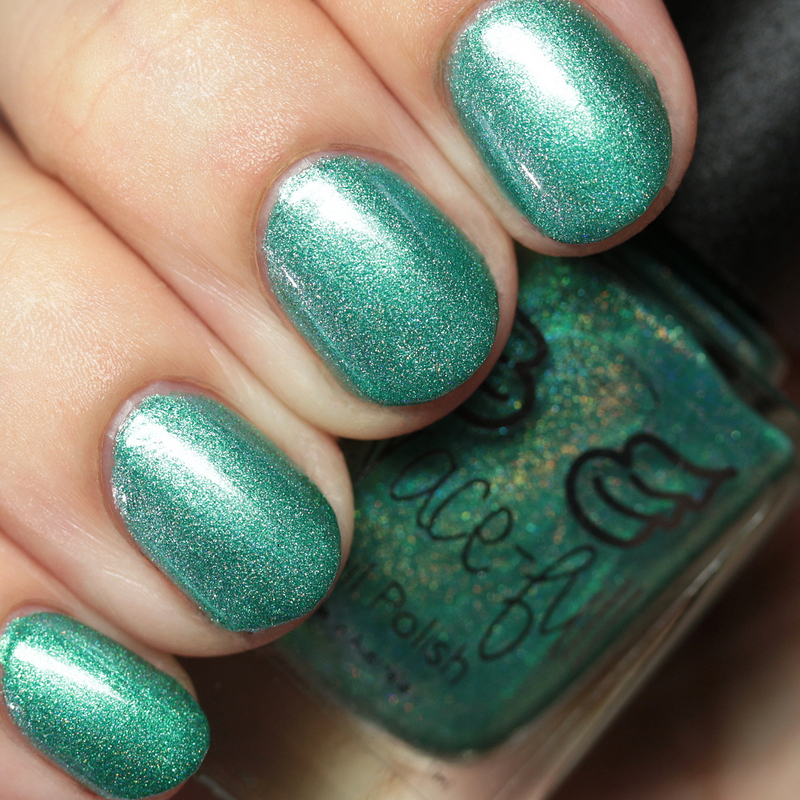 What an amazing shade - I don't have anything else with this kind of shift in my collection! 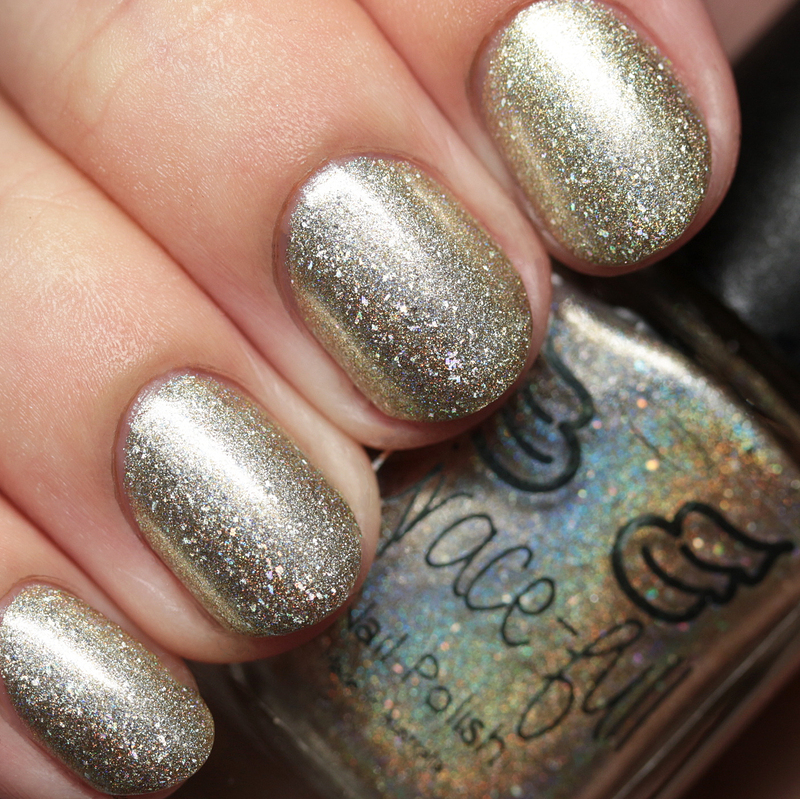 Grace-full Nail Polish Spiffy is a pale gold metallic linear holo shimmer with holo flakes. This will cover in two or three thin coats and dries quickly and smoothly. 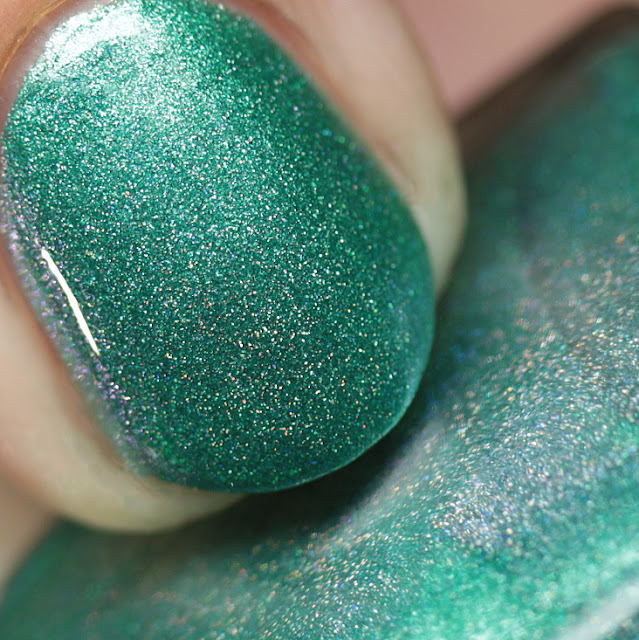 This has tons of flash and really looks like a full on glitter bomb, but due to the holo flakes has zero texture and removes like any shimmer polish. 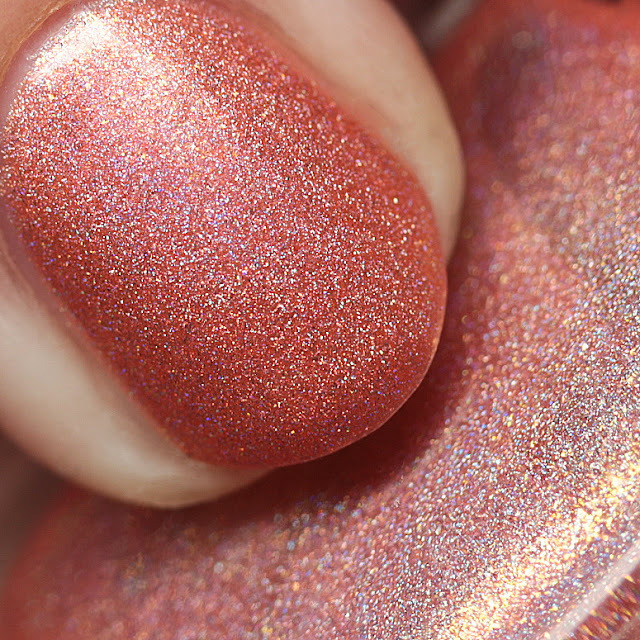 Finally, Grace-full Nail Polish Whopee is a coral orange scattered holo with gold microflakes. 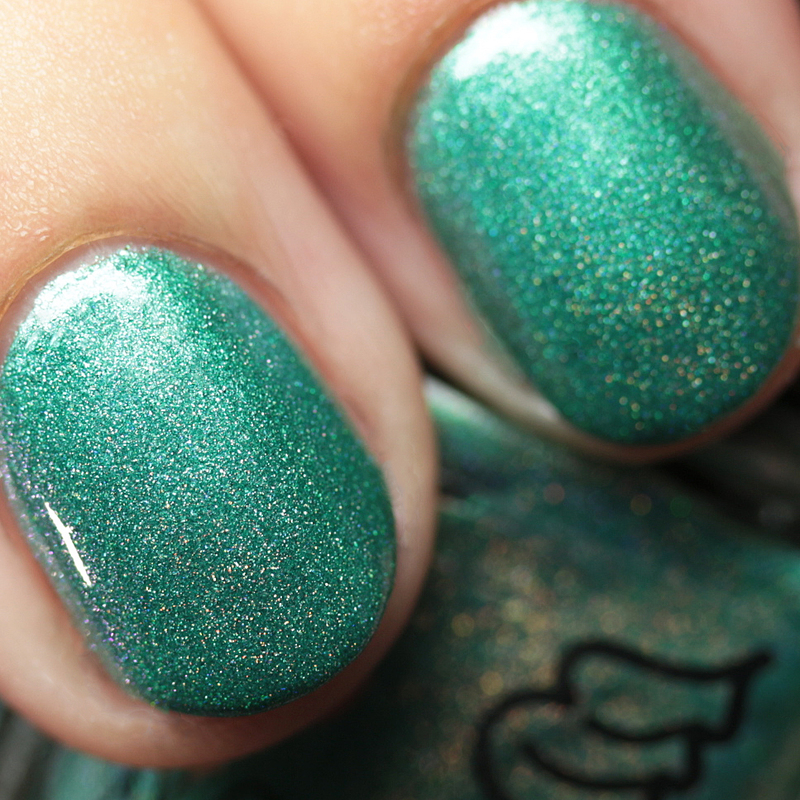 This will also cover in two or three thin coats with a great formula. This is quite reflective and sparkles a lot in real life. 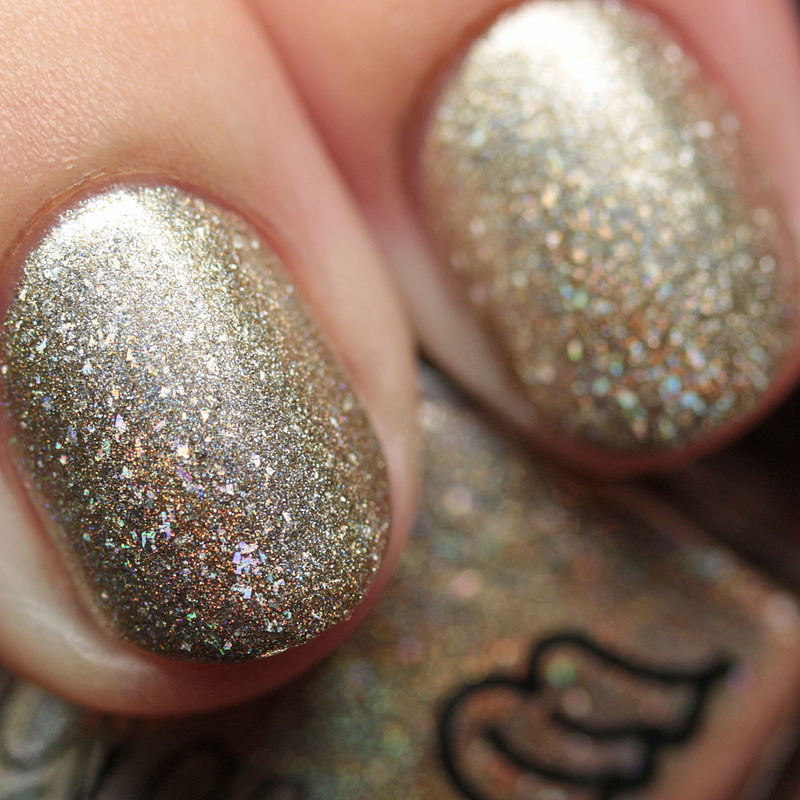 That wraps up the Grace-full Nail Polish Roaring Twenties Collection. If you missed it, the first half of my review is here. The collection launches at Aussie Indie Con on June 17, with a later release in the U.S. on May 23 at 7PM CDT. How do you like these colors? Do you have a favorite shade, or do you use any of these cute, vintage phrases?